Announcing the deal just moments ago, Konami has signed a "long-term, exclusive deal" with global superstar David Beckham. As part of the partnership, the England midfielder will be playable in PES 2018 in the form of a myClub Legend. Five different versions will be released, with each one reflecting his time spent at LA Galaxy, Man Utd, Paris Saint-Germain, Real Madrid, and the England national team. 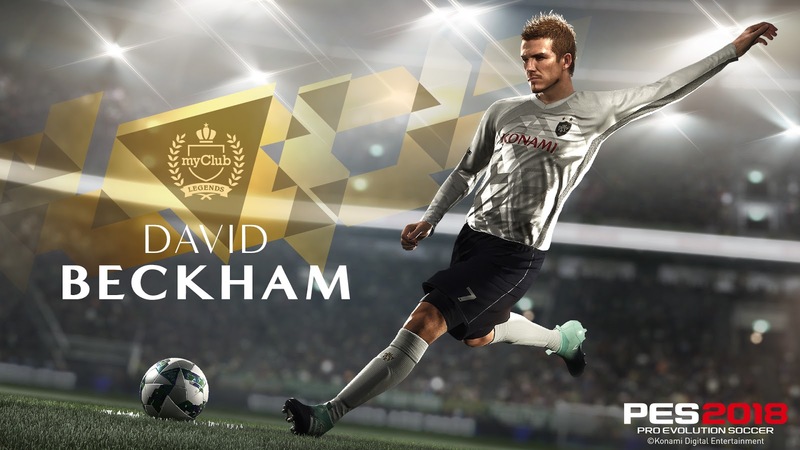 Konami Digital Entertainment B.V. has added another legendary player to its enviable PES 2018 roster of Legends with the signing of England midfield genius and global superstar David Beckham. Arguably the most recognizable football player of modern times, David Beckham’s 20-year career saw him win 19 major trophies as he played for title-winning teams in England, Spain, Italy and the United States of America. He was the first British player to be featured in 100 UEFA Champions League matches, and enjoyed an international career that garnered 115 England caps. His incredible ability from dead-ball and set-piece situations resulted in dozens of truly memorable goals before his retirement in 2013. KONAMI is delighted that such a leading light of world football has agreed to join PES. The Leyton-born star will see his incredible career recreated in-game as a Legend in the forthcoming PES 2018. Following PES 2018’s launch on September 14th, several versions of David Beckham from key points of his illustrious career will be featured in the game’s myClub mode across different campaigns. A total of five eras will be represented, from his formative years in England, through to his times in Spain, Italy and the United States of America, alongside one representing his International profile. Using KONAMI’s proprietary scanning and animation systems, Beckham’s unique playing style and abilities will be faithfully recreated for those playing the hugely popular myClub mode. 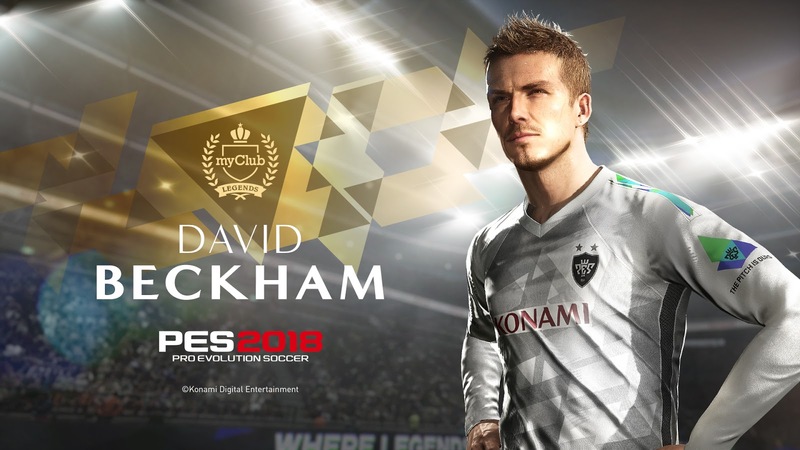 The addition of David Beckham to PES 2018 perfectly reflects the new game’s message that it is “Where Legends are Made.” Fans will be able to experience this directly in myClub as they build a team from scratch and draft Legends such as Diego Maradona, and now David Beckham, into their team. Additionally, making his debut as an in-game player, the world’s fastest man and most recognisable athlete in the world, Usain Bolt, will be also available within the myClub mode as an exclusive pre-order bonus.